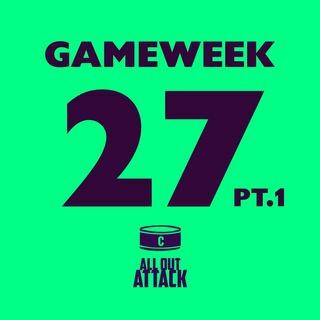 Manchester City are an absolute force... in particular Aguero... which is exactly what Chelsea fans found out in Gameweek 26. And guess what, Joe, a lifelong Chelsea fan felt the pain in a big way. The boys dissect exactly what it is about Man City that makes their players THE assets for any FPL team. Along with a bit of chat about fixture run-ins and Kurt Zouma's red card - the duo also take on Producer Luke's FPL quiz! Can you remember who the highest scoring player was in ... See More Gameweek 1 without checking? Well, it's time for you to give this a listen and play along! Subscribe, give us as many stars as you can fit in during the time it takes for Pep Guardiola to choose his starting 11 and follow us on Twitter at @AllOutAttackFPL. P.S - Happy Valentine's Day... don't forget to get your other half some chocolates or just get them the present of our podcast and share this episode with them!